The Shelter Youth Hostel Ministry is a unique place. We often hear this from our guests and even more often from our volunteers. Every Christian volunteer who has served in our ministry throughout the decades, without exception, will say that their time at the Shelter was the time of their lives. Here is 9 reasons why! By meeting people from all around the world, you will learn the importance of listening to understand. At the Shelter you learn to reach out to guests in a personal way. You connect to guests on their level. Moreover you will learn how to share the gospel of Jesus Christ in a kind, creative and understandable way. You easily deepen your faith while living in a Christian community. For example through our Ministry Training Program, small group sessions and serving God practically in your daily work. You will have the chance to develop your confidence and personality. You are going to do things you have never done before. Step out of your comfort zone by living and working in an international community. And, of course, by sharing your faith with non-believers. How? Check here how we reach out to our non-believing guests! During your time at the Shelter you will be challenged to learn more about God and about yourself. You will gain more understanding of who you are, why you do the things you do and what your gifts, strengths and weaknesses are. Whilst volunteering at the Shelter not only will your language skills improve, but you will also learn more about inter-cultural interaction. You will also gain new experience and perspective by serving in a hostel and by living and working together with people from other cultures in an international community. You will learn more about your own culture and how to relate to people from other cultures, backgrounds and mindsets. You would think living in such a diverse, international community, it would be difficult to form deep long-lasting friendships. However, it is our shared faith in Jesus that is the basis of our relationships with one another. Despite coming from different backgrounds, our work at the Shelter hostels enables us to share our testimonies. Thus getting to know each other in a deeper and more intentional way. Also living so close to each other, it is no surprise that friendships come so naturally. Living in community means we see people in many different ways, allowing us to understand and respect one anothers boundaries and habits. Being surrounded by people also means a secure support to talk to and pray with. Lastly, with the guidance of our wonderful house parents, we as volunteers are entering a safe environment where we can be open with each other and resolve any conflicts in a Christ-like way. "It is true. Even now, eight years after volunteering in the Youth Hostel Ministry, my most regular social contacts are people from my team back then. Some of my closest friends I met during my time of volunteering at the Shelter." Improve and develop your communication skills. Learn to speak in front of groups, have one-on-one conversations with guests and lead Bible discussions. Or take the chance to grow in leadership, by leading a small group, supervising our teams of cleaners and hosting evangelical activities. Improve your English or other second languages by living and working in an international environment and daily interacting with people from all over the globe. Enjoy living and working in Amsterdam. 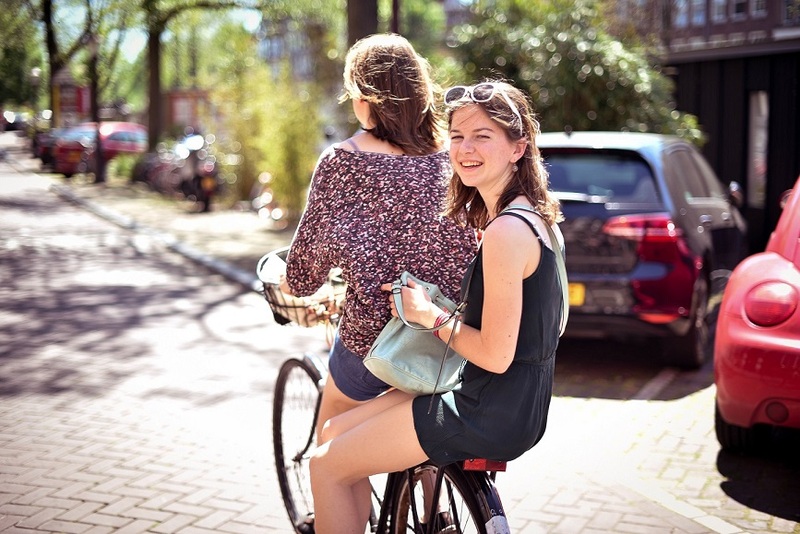 During your Shelter time you will have more than enough time to explore the city and the Dutch culture. Interested in Christian volunteer opportunities? Join our international volunteering team! Meet new people, live in an international Christian community, experience diverse cultures and share the gospel within a safe environment? Apply today to volunteer at our ministry! Consider to do a gap year at the Shelter or join us for a few months. Do you meet these requirements? Great! Apply today to become part of our ministry team.